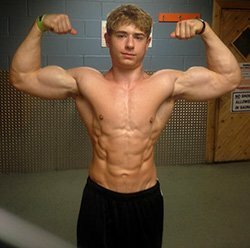 Teen Amateur Of The Week: Dylan Lifts Beyond His Years! 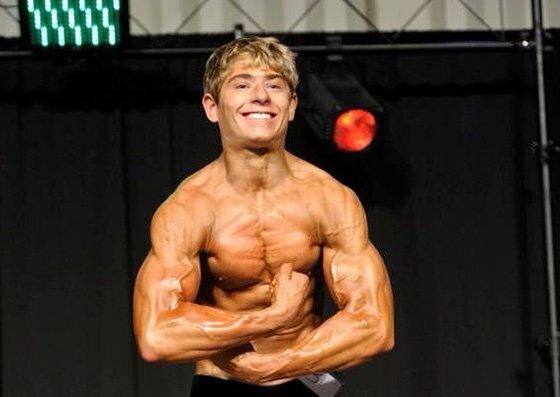 Taking a scientific approach to training and nutrition allowed Dylan to stand out from the crowd. See his recipe for ripped mass and insane symmetry! Having an overweight father started my journey because I feared becoming him. I also started liking a girl and wanted to look good for her, so I started doing exercises at home like push-ups, pull-ups, sit-ups, and running. I was one of the more athletic kids on the playground. I was faster, stronger, and set gym class fitness records. The high school weightroom was a place to prove our strength and I was one of the strongest in my grade. That didn&apos;t satisfy me because I wanted to be the strongest. My local gym provided free memberships to those aged 18 and younger, so I joined immediately and met lots of knowledgeable people who gave me advice and told me to eat a lot. It took a year for it sink in that I wouldn&apos;t get fat that way. They also taught me to pose. 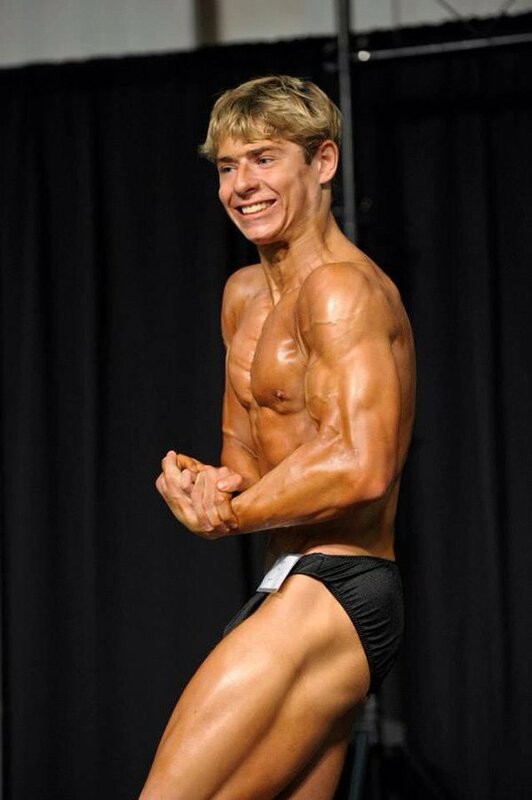 Since then, I&apos;ve been in two natural bodybuilding shows and took first place in the teen division in 2012. Now that I&apos;m older and more knowledgeable, I understand the science of working out. I always wanted to improve my strength and physique. Having a muscular body is unique because very few people can achieve it. I eat, sleep, and live the bodybuilding lifestyle. I plan to keep changing my body until the day I die. Bodybuilding is about lifelong dedication and commitment. There is no end. "Bodybuilding is about lifelong dedication and commitment. There is no ending." "I would love to be a pro. I dream about it every day." My passion for fitness emerged as an escape from life. At the gym, I don&apos;t worry or think about anything other than crushing the iron. Bodybuilding isn&apos;t easy. Achieving a fit body requires dedication and hard work. The bigger I get the more my hard work and dedication show. I eat, sleep, and breathe it! I&apos;m a believer in science and research. My body is a result of science and hard work. I see many kids take bad advice and fail to make gains. When times are tough and I need inspiration, I go to the gym. When I go the gym, I see friends and usually get compliments and encouragement to go harder. Positive people with goals like mine challenge me. 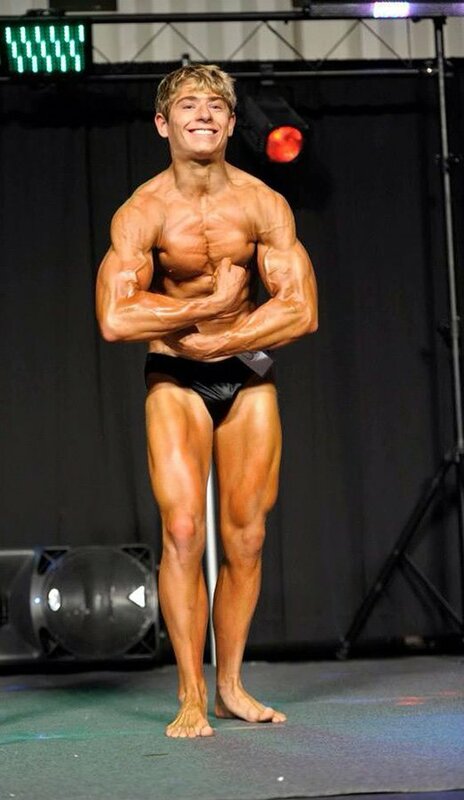 My future fitness plans are to gain size and then get back on the stage. I&apos;ll continue to improve my physique in every way I can. I would love to be a pro. I dream about it every day. Don&apos;t let anyone put you down. Prove them wrong. I was once told that I would always be skinny. If you put work and time into your training and diet, you will succeed without a doubt. My favorite competitor is Kai Greene. He started out as orphan with nothing. He inspires me to be the best I can be. There is no quit in him. He pushes beyond physical limitations. 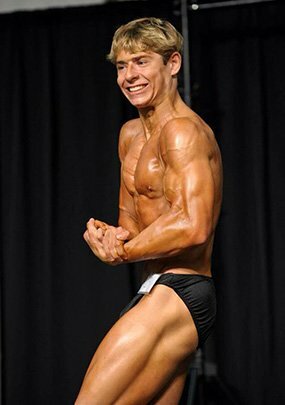 Bodybuilding.com helped me reach my goals by providing a huge selection of reviews on supplements, workouts, meal plans, and more. When I need supplements, I can rely on Bodybuilding.com with their great customer service.